From Facebook to Twitter, Flickr to Instagram and more, images have become the immediate sensory language we use to communicate in two-second bursts with friends, colleagues and even customers. This sharing has become so prevalent that some people are under the mistaken impression that any image found online is perfectly okay for use on their business sites and in their marketing materials or presentations. But hold that mouse before you right-click a Google image and find yourself in a heap of trouble. Here are five things every entrepreneur should know about navigating the safe use of imagery for business. People often ask me about Creative Commons licenses. Creative Commons licenses provide simple, standardized alternatives to the traditional "all rights reserved" copyright. For example, an artist might choose to make an image available for commercial or non-commercial use for free provided the image is not altered and he is given credit for the work. Or she may decide to make an image available to be tweaked, reworked and built upon provided the modified image is also made available under a Creative Commons license. Images licensed using Creative Commons or another free license site may be fine for some uses, but you need to be aware of the license limitations. There can also be difficulties with regards to whether or not there are model releases with the image and unfortunately, some people claim ownership of images when they did not really create them. I think all of us get it that showing a Nike shoe, a Tim Horton’s cup, or a Roots logo on your web site without permission is illegal, but for example, did you know that pictures of the Eiffel Tower at night cannot be used without permission, because the lights themselves are trademarked? Need an image showing people or a specific place? You should definitely license from a reputable source with an inspection process that looks for copyright, trademark and privacy infringement. Images with identifiable people or places require appropriate releases! Using an image without one is asking for trouble. If a recognizable person is in the image, that person needs to have given permission for his or her likeness to be used. Whether you shot that image yourself or set up a fancy photo shoot for your new brochure, or are looking for stock imagery, images must come with signed model releases to keep you safe. There are places to get inexpensive imagery that can be legitimately used for a whole host of purposes. Stock imagery can be purchased for as little as a dollar or two up to several hundred dollars or more for high-concept shots and videos. iStockphoto offers “royalty-free” images. This means you purchase them once and can then use them in multiple projects. These images are intended to be reused and were created with that in mind. They are purposely offered in different shapes, sizes, colors and resolutions. You can search by keyword AND shape and color. Many images leave neutral space for copy. All have been rigorously inspected to ensure there will be no copyright or other privacy intellectual property concerns, which is why iStock also offers a legal guarantee on our imagery. Perhaps you have already invested or need to invest in very specific photography or video for your business promotions. Watermarking those images is a good way to help safeguard them. And, even if you had a professional photographer do the shoot, keep copies of the model and building releases he or she used on hand along with the original imagery. Do you take many photos of your own, or are you in a creative business? If you fear someone might be using your images, you can check. You can find out if your images are being used on the Web without your consent. Try PicScout’s ImageTracker. Submit your photo and it will scan the Web for you. 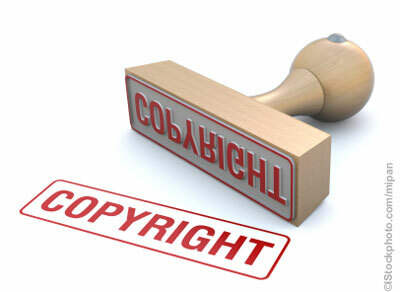 If someone else is using your images without your consent, you may have a right to demand they remove the image, credit your work or pay you damages. For more information on using imagery, from free Creative Commons guidelines to the different licenses best for your business project, www.stockphotorights.com is an excellent primer. Rebecca Rockafellar is the general manager of the Getty Images'-owned microstock pioneer, iStockphoto, and senior vice president of ecommerce for Getty Images overall. Rebecca oversees the global strategy and operational leadership of iStockphoto. She has prioritized the customer experience of iStock, and continues to hone the quality of iStock’s customer interactions.